The true genius of the mechanism goes beyond even the complex calculations and craftsmanship of a mechanical calendar. For example, the ancients didn’t know that the moon has an elliptical orbit, so they didn’t know why it sometimes slowed or sped up as it moved through the zodiac. The mechanism’s creator used epicyclic gears, also known as planetary gears, with a “pin-and-slot” mechanism that mimicked this apparent shifting in the moon’s movement. This use of epicyclic gears is far ahead of what anyone suspected ancient technology was capable of. Scientific American has a two-part video about the mechanism and the imaging techniques used in the research. It’s still unclear who built the extraordinary device. Cicero’s writings link it to Archimedes, though he was dead by the time that this specimen was built. Researchers theorize that the Antikythera mechanism may be based on an Archimedian design, and might have been built by a workshop carrying on his technological tradition. But if the design was “industrialized” in that way, why has there never been another one found like it? Perhaps it’s the consequence of the turmoil of the period. 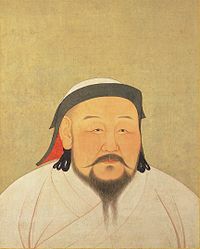 Indeed, the upheavals of war and natural disasters over 2,000 years have probably caused us to lose many more works and wonders that we will simply have to keep trying to find. 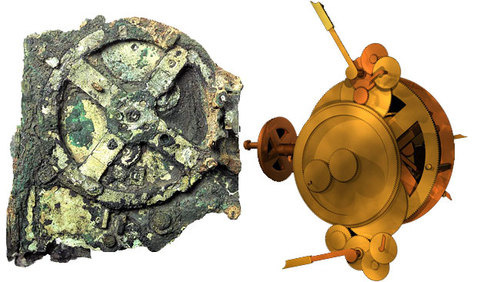 Though this is April Fool’s Day, the Antikythera mechanism is absolutely for real. More information here. As we recalibrate our assumptions about antiquity, we might recall that it was on this date in 1891 that the William Wrigley Jr. Company was founded. 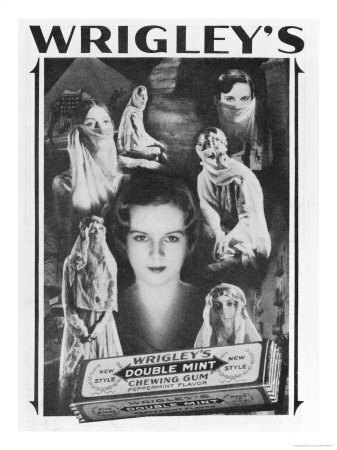 Originally focused and making and selling soap and baking powder, Wrigley included chewing gum with each can of baking powder. As the gum’s popularity eclipsed that of the powder, the company shifted its focus; today it sells Juicy Fruit, Doublemint, and other sticky treats in over 180 countries (one of which is not Singapore, where the import and sale of any chewing gum that does not have explicit therapeutic purpose has been banned since 2004).